It was recently reported that Diogo Morgado, who played Jesus in "The Bible" mini-series and "Son of God" movie, has been cast in the upcoming CW TV series "The Messengers." It was revealed that the actor will play The Man, a mysterious figure who wakes up naked and burned in the desert and sets out on a mission to provide some answers about the strange events. TMZ learned that the CW has been quiet about the fact that Morgado will actually play the Devil. The network doesn't want to offend any relgious groups, which is why The Man will be referred to as a Devil-like character, rather than the Devil. "The Messengers" centers on a mysterious object that crashes down to Earth and a group of seemingly unconnected strangers who die from the energy pulse. They then awaken to learn that they have been deemed responsible for preventing the impending apocalypse. This will sexually excite Bullit, he has made it very known that he wants to f*ck jesus. 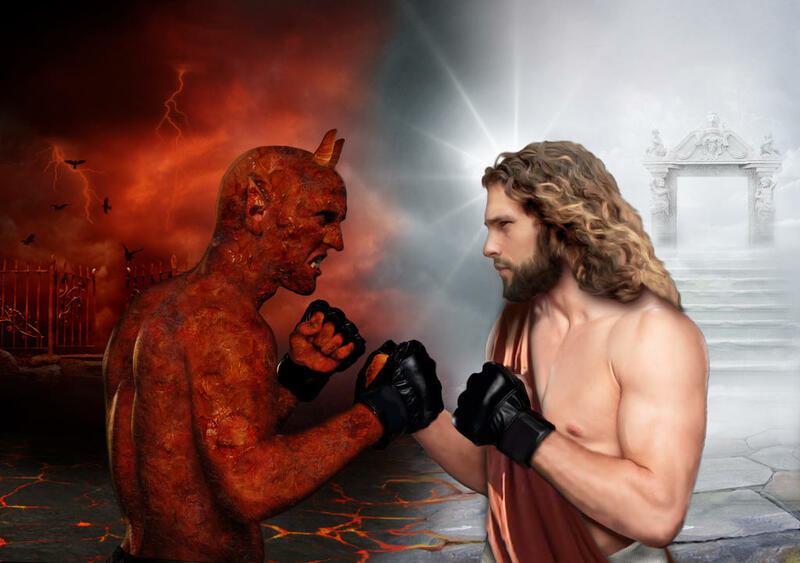 Jesus vs Evil Jesus, starring Jean Claude van Damme. What can be a better impression than when you feel overwhelmed by the experience? Hope to experience the same with thesis help online and looking forward to your next articles. You could discover a great deal of TV networks	apkoftheday	so on, completely free. If you are looking.